I join my Cuban friends in their celebration with a little something I've been saving just for this occasion: A fine American (Texan!) vodka that kicks the rest of the world's vodkas a**es. 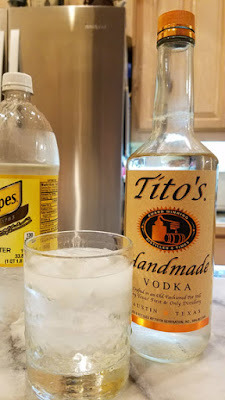 I've had this in the cabinet so long that a deposit 'ring' formed in the neck of the bottle and Tito's has since changed its label. I've been waiting too long, but nothing compared to how long those who he oppressed have had to wait. This isn't the end unfortunately, only the beginning of the end. 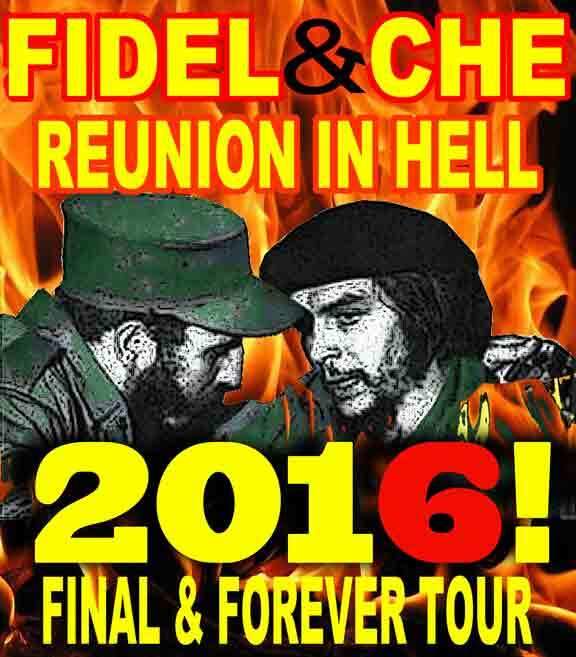 I expect the era of the 'Commandantes' will now go out with a whimper without Fidel's 'cult of personality'. THEN the suffering will end once Raul and the last of his cronies pass into the 'dustbin of history'. Of course we should keep hurrying that day along 'some'. Selected samples of older versions of the above below the fold. They weren't always featured in a post, but they were in the heading/masthead from almost day one.